Most people are scared of investing because it involves risk. No matter how sure you are about a stock, mutual fund, or business opportunity, there’s always the chance that you could lose all your money. So what if I told you there’s a way to invest with absolutely no risk? I can’t promise an exact return on the investment, but I guarantee it will always be positive. It’s called investing in yourself. More skills can lead to a higher pay, more job opportunities, and added job security. Bonus — more skills also make you more interesting. That sounds great, but how do you invest in yourself without going back to school and paying thousands of dollars for a degree? Here are some ways you can invest in yourself to boost your skills. Books are my favorite way of learning new things. Everything I learned about investing and personal finance I learned from reading books. I read everything I could get my hands on and became knowledgeable enough that I started my own site, The Writer’s Coin. I recommend I Will Teach You to Be Rich by Ramit Sethi to start. When I started my site I did it because I felt I had something to say about personal finance. I had no idea it was going to teach me about networking, social media, SEO, entrepreneurship, CSS, and PHP, or that it would start to make real money for me. Bonus — blogging regularly will make you a better writer, and that’s an essential skill in the world today. Go to Wordpress.com and start your own blog today — it’s free! Learn what an RSS fee is. Then start adding new sites to your reader, and you’ll stay up to date on whatever topic you’re curious about. This is how I injected myself into the personal finance blogosphere. There's a course for anything you can imagine out there. Whether it’s a local class to learn how to cook or an online course about computer programming, if you can think it, I guarantee someone out there is teaching it. You’ll meet new people, learn new skills, and broaden your horizons. Thanks to the Internet you can learn pretty much anything you can think of. iTunes U has tons of cool courses for free! The best way to become an expert on something is to have deep knowledge of it and then try to teach it to others. It works your brain in a totally different (and good) way. Plus you’ll meet some interesting people. Pick a sport/instrument/topic you know a lot about and teach your niece/nephew/child a basic concept about it — you gotta start somewhere! This is easier said than done, but if your job requires a lot of travel or will be investing in another country soon, then another language might be essential. Tip — Duolingo is gonna be awesome. Freelancing is a great way to get a taste of another job without leaving your current one. It’ll also teach you about handling clients, running a business, and marketing. Check out Craigslist or ask your friends if they need help with something. Don't expect your boss to give you a raise simply because you can say "hello" in French. Be smart about which skills you tackle and how they fit into your career plan. If your company just signed a major client from France, then go ahead. If you're doing it because you like Paris, it probably won't have an effect on your value to the company. Everyone of these are excellent ideas, from top to bottom. The one I like the most is to Teach Something. Adult learners actually learn material more effectively when they have to teach someone else...and they don't have to start out as an expert when they start teaching. Teach what little bit you know to someone else as soon as you can, and you'll know it more thoroughly. Rinse. Lather. Repeat, and you'll become very knowledgeable. Thanks Thad! Teaching other people how to do something really does give you a whole different kind of insight. I recommend it to anyone. 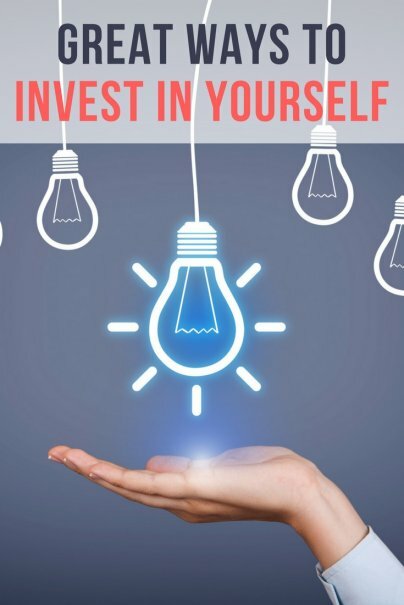 Investing in yourself could pay large dividends in the future. I'd also suggest getting a coach or mentor in an area you want to learn or improve in. Excellent post! I think that we are all life-long learners - and it's really exciting to challenge ourselves. The only thing that I'm not doing on this list this year is learning a new language. Might be time to try that! It's tough...I think immersion is obviously the best/fastest way to go about it, but who has the time? So I'd look into Duolingo, watching movies with subtitles, trying to read a favorite book in a different language, and watching TV—lots of people learned English watching American shows! I hadn't heard of Duolingo, and I'm working on my Spanish now. I just told them I need an invite! I'm trying to find as many ways as I heard to hear Spanish because the hardest part for me is understanding Spanish speakers - they talk so fast!! I know, it's really tough! I am from Guatemala and still can't understand certain other native speakers from different countries. My recommendation? Immerse yourself in music and movies and that will go a long way. Good luck! Another great free learning site is the Khan Academy, at www.khanacademy.org. The lessons are in YouTube video format, so they're short, which makes them ideal for viewing during lunch. I've been working my way through all the algebra I never understood in high school, with the eventual aim of doing well on the GMAT. The site has everything from physics to programming to social issues. It's a fantastic resource! Great points Carlos. I think a lot of adults, especially when they start families and are working on forging their careers, lose focus on improving themselves. Lifelong education is a great way to invest in yourself and pays back in dividends later. Everything you do to enrich yourself really sparks personal growth and will lead to greater opportunities.